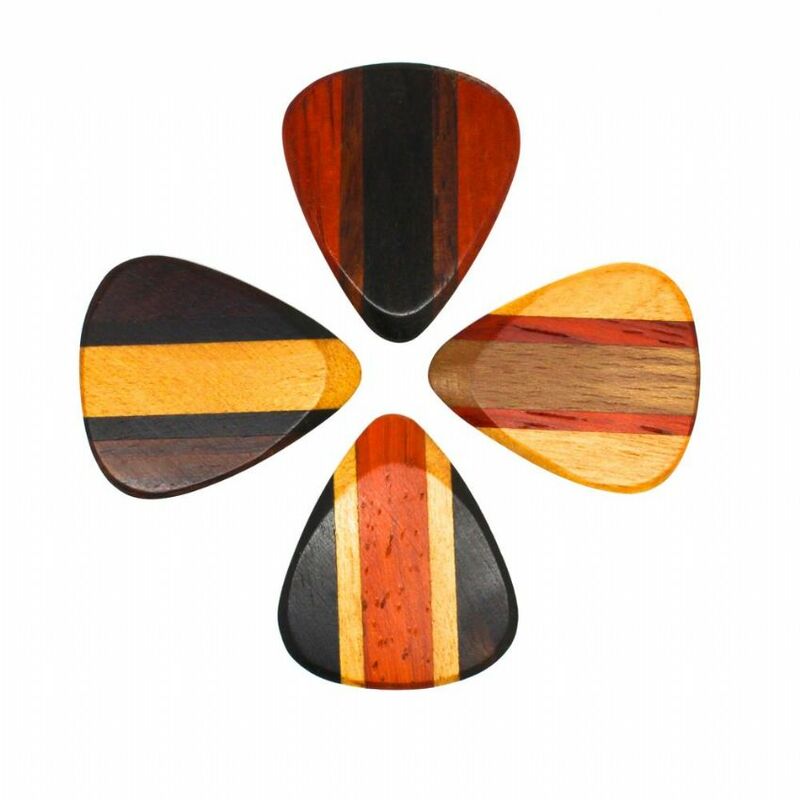 African Ebony, Padauk, Haldu & Indian Teak. We recommend Zone Tones for Acoustic Guitar & Electric Guitar. 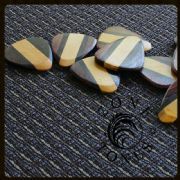 Haldu is a Mid Hardness Timber which has well balanced tones across all frequencies. 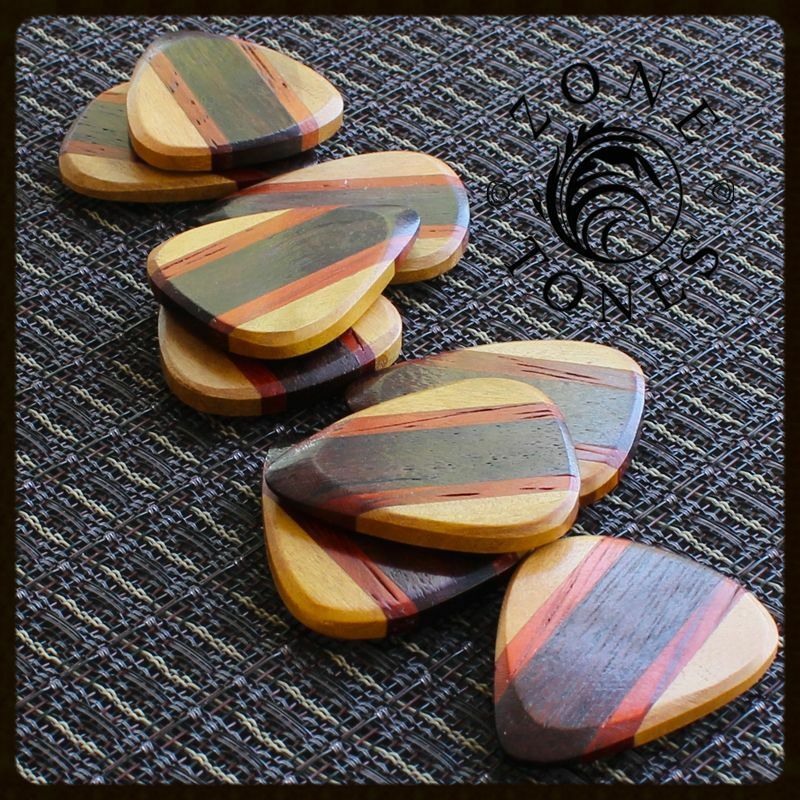 Indian Teak is a Mid Hardness Timber which has well balanced tones across all frequencies. 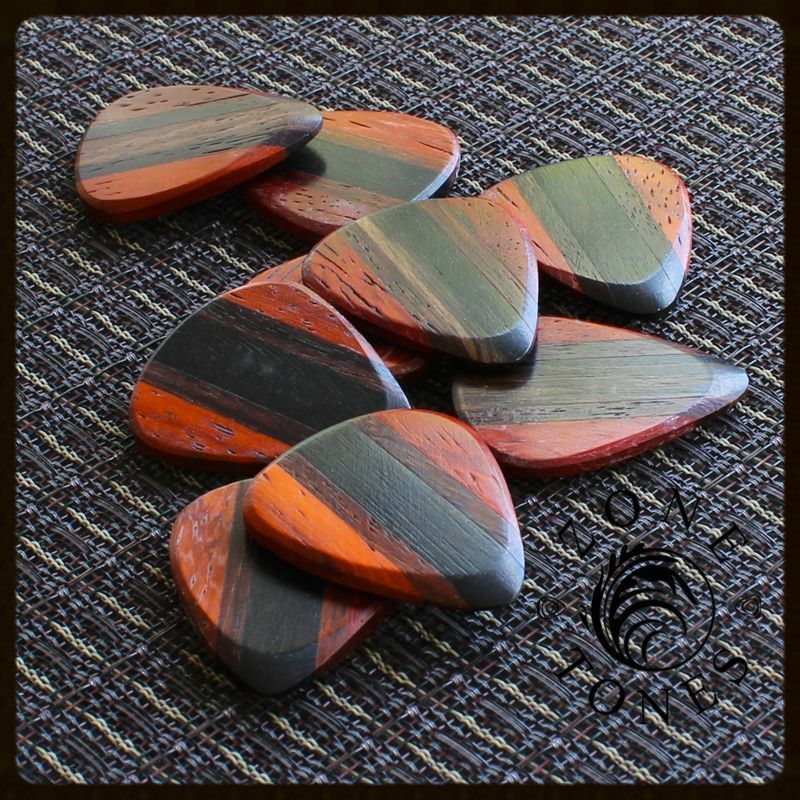 Padauk is a soft Timber that will add some warmth to most Guitars. Zone Tones are perfect mix of function and form. 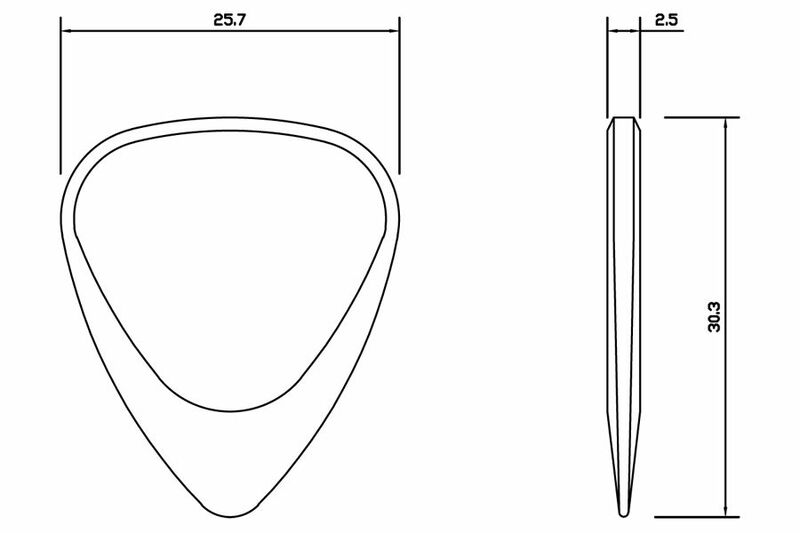 They designed around the classic 351 shape and are made by laminating together 3 different Timbers. 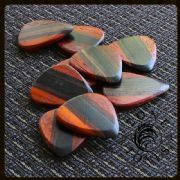 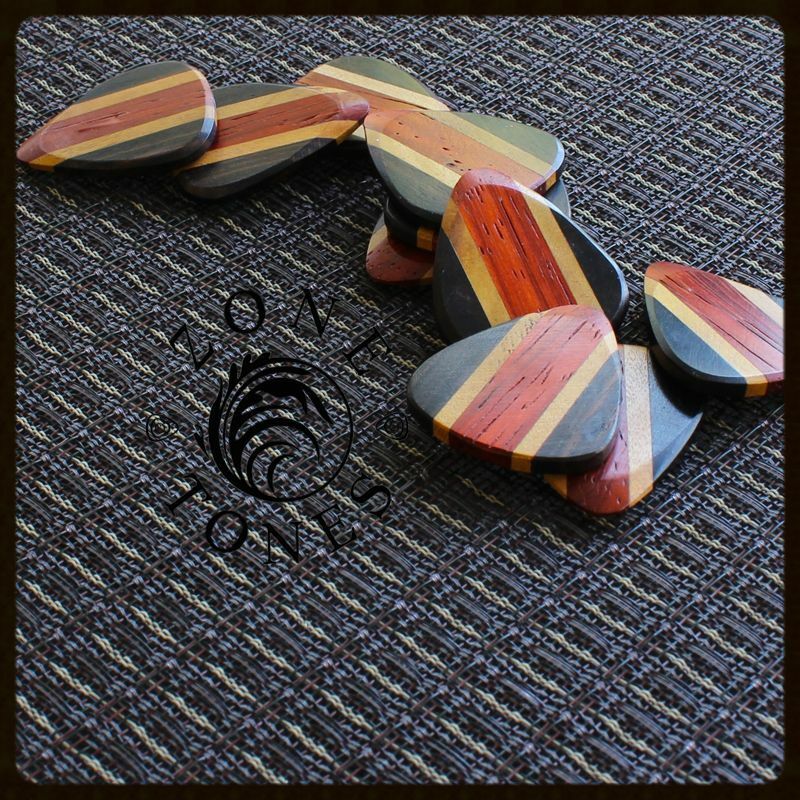 This pack contains 1 of each of the Zone Tones Guitar Picks.